Mabrika! Join me as I research ancestors and discuss genealogy research with a Caribbean focus. Also on this site are several blog projects, linked by place and family, so feel free to explore! Mabrika! Join me, Ellen Fernandez-Sacco as I research ancestors and discuss genealogy research with a Caribbean focus. Also on this site are several blog projects, linked by place and family, so feel free to explore! My roots are in Boriken, and tie together the islands of New York City and Puerto Rico. I’m interested in the diasporic flows of settler colonialism and slavery, to revisit ancestral communities through a genealogy that reaches across time and place. Because of DNA, genealogy, research and the amazing circles of elders, family, friends, and mentors, I teach people how to take a deep dive into the oceans of colonization, diaspora and multiple histories to better understand how one came to be. I earned my doctorate in Art History (UCLA 1998), and my research focused on the history and development of early American museums. I was a President’s Postdoctoral Fellow (Architecture) and then Visiting Scholar (Beatrice M. Bain Center; History of Science & Technology) at UC Berkeley, where I continued working on several projects involving violence and collections, slavery and the representation of Indigenous people within museums, particularly at Monticello’s Indian Hall. I held fellowships at many amazing archival institutions, with equally amazing archivists & library staff: American Philosophical Society, Library Company of Philadelphia, Thomas Jefferson Foundation, the Bancroft Library among others. This background in intensive primary source research helps enormously with doing my current genealogical & contextual work. After a time, I wanted a break from the historical traumas visited by settler colonialism, and traveled to Moca, Puerto Rico, the town where my mother was born. There I learned about the tradition of Mundillo, traditional Puerto Rican lace making, over the course of several trips there. Mokay graciously took me to interview las tejedoras, (the lacemakers) a time when the Museo del Mundillo Puertorriqueno was newly founded. Juan Sotomayor taught me about the history of the cuatro. Ada Hernandez introduced me to the wealth of mundillo’s practice in Moca. Her sister Malen also provided me with insights into making mundillo during her youth. I deeply appreciate the gift of time from so many people, and will share more about them in future posts. Discovering family connections also meant meeting networks of cousins tied to my maternal line’s Babilonia surname. I met Gaspar Matias Babilonia, who introduced me to other Babilonia cousins in Aguadilla, Moca and Quebradillas. Ultimately my genealogical research led to a series of Babilonia Family Reunions in Moca that began in 2008 and was attended by over 200 people. Nydia and Nancy Segui founded a non-profit organization in Puerto Rico to continue these events . One of the most memorable experiences I had in Moca was to attend an areyto performed by the Concilio Taino in the Plaza in December 2007, and to visit Caguana, where the Taino ball court is, tucked beneath sacred mountains. Since then, I found that I have Boriken Taino ancestry on my maternal and paternal lines, and I honor my indigenous ancestors from the Caribbean and beyond. I am an enrolled member of the United Confederation of Taino People, and belong to the Yukayeke Guayniana. We are still here. Exploring these suppressed identities within family histories is an issue many genealogists of color work on, by building the historical contexts that lend visibility to people previously considered not important or proper enough to research. 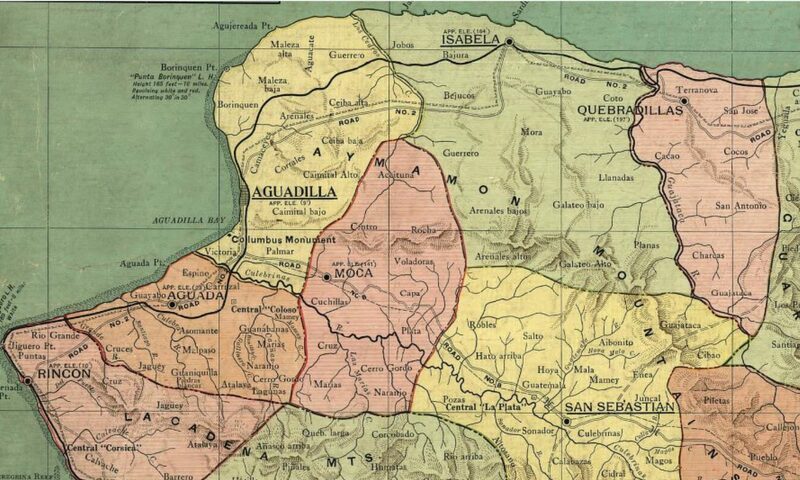 What is in my genes are military men and their slaveholding families, enslaved and local Indigenous men and women from Puerto Rico, the Caribbean Basin and Africa, with fragments that spread from the Iberian peninsula and into Northern and Central Europe. There are North and West Africans and into the Middle East, along with small percentages of Azkenazi and Sephardic markers. Our bodies are testament to the staggering porosity of Borinken/Puerto Rico as a site within the domain of the Spanish empire, seated closely to islands overseen by British and French empires, that attempted to enslave the first people who survived Columbus and the Africans forced to go there that created networks of Maroon communities– then add endogamy as a means of power– potentially means one does not have to leave the island to gain this rich genomic inheritance. I’m curious about this journey through enslavement, migration, self liberation and freedom. It’s something we are still engaging today. As so many are learning, it is these histories of survival and resilience that have the power to heal, and inspire self care. Our ancestors matter. I’ve published articles on Puerto Rican genealogy in Hereditas, journal of the Sociedad Puertorriquena de Genealogia, and this year, a two part article in the California Genealogical Society’s The Nugget, first published in The Baobab Tree: Journal of the African American Genealogical Society of Northern California (AAGSNC); previously on the California Genealogical Society blog. I have a book chapter on the history of Mundillo in the collection Women and Needlework, thanks to a Senior Latino Smithsonian Fellowship. The stories of the women who practice mundillo are also histories of strength and resilience that deserve to be known. My hope is that for peoples across the Caribbean, and in Puerto Rico, that many places like the Museo del Mundillo Puertorriqueno in Moca and the collectives tied to Casa Pueblo in Adjuntas, the Taino collectives that span the island will recover from the devastation of Hurricane Maria into a more sustainable and equitable future. It cannot simply be swallowed by corporate interests. With my friend John Kysela, I had the pleasure of meeting the French actress Daniele Delorme (QEPD) who gave us her blessing to work on a book on her father, the French artist Andre Girard (1901-1968). Soon, there will a section of the blog entitled The Man Who Painted on Light: Andre Girard (1901-1968), with images and excerpts of our forthcoming book. My work integrates the family history and genealogy of people of color, cultural and class based differences. 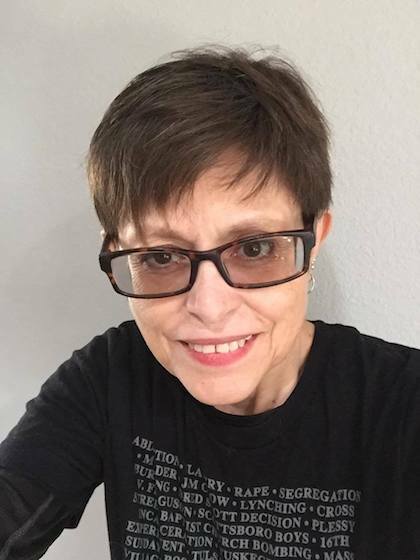 I’ve served as Past President, President, Vice President, and Board Member of the California Genealogical Society, whose volunteers continue to push the boundaries of the organization since its founding nearly 120 years ago. I’m also founder and co-moderator of Sociedad Ancestros Mocanos on Yahoo! Groups since June 2005, and yes, we’re on Facebook too. I’m a graduate of ProGen 16, ProGen Law (beta) and am closing in on 2 decades of genealogical experience. Let’s talk if you’re interested in exploring your family history. I’m a proud panelist on Black ProGen LIVE, hosted by Nicka Smith & True A. Lewis. Remember, genealogy is the democratization of history. Get those stories out there! Busca sus raices, encuentra su gente!